Our pony rentals come with some amazing ponies! 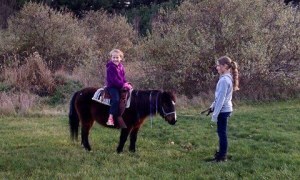 Our ponies are sweet tempered, gentle, and well trained to be handled and ridden by children. We have ponies of all sizes: Pumpkin the mini pony, Poco our small Shetland pony, Daisy our medium white princess pony, and Toby our large Quarter horse. Our ponies and horses can be dressed in costumes for your event; princess pony parties, rainbow ponies, western, or any theme! 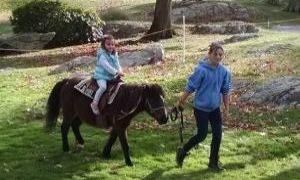 Our pony parties are available in Boston, Massachusetts, New Hampshire, Vermont, Maine, and Connecticut. We can provide up to 4 ponies at a time to your special occasion. 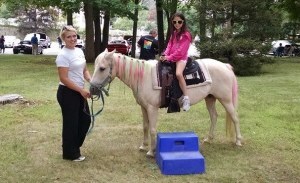 Our ponies for parties will each come with a handler to ensure a fun and safe time. We provide mounting blocks and designate a safe area for pony rides. We set up cones and a waiting line so everyone may have a safe fun ride. We do not provide helmets, instead we ask that children bring their own bike helmets. 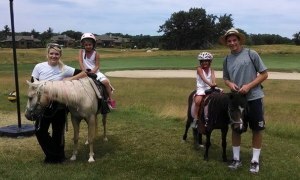 Pony party packages start with 1 pony for an hour. Additional ponies may be added and/or a petting zoo too! Click HERE for more information on pricing and packages.